ROME – It’s been an eventful few weeks for the Catholic Church in the Democratic Republic of Congo, a pivotal and war-torn nation of 67 million people located in Central Africa where roughly half the population is Catholic. To begin with, the country’s bishops recently asked President Joseph Kabila to open a national dialogue “in accordance with the constitution” with regard to elections set for 2016. 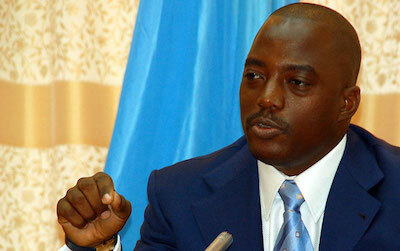 Kabila took office in 2001 following the assassination of his father, Laurent-Désiré Kabila, and has since between elected to the presidency twice, in 2006 and 2011. At present, there are rumors that Kabila is laying the groundwork to amend Congo’s constitution to allow him to seek a third term, sparking protests from the country’s political opposition as well as pro-democracy activists. In that context, the “invitation” from the bishops has struck many Congolese as akin to a shot across the bow, meaning a warning that the Church will push back if Kabila does indeed try to set aside constitutional term limits to extend his grip on power. Second, Church officials in early July found themselves defending the role of the Catholic charitable group Caritas in distributing salaries for public school teachers in remote areas of the country where there are no banks. Teachers in those regions recently have complained that they haven’t been paid for months. Officials of the charity, however, say the delays are because vehicles carrying cash for the salaries have been hijacked by bandits, insisting that if the government really wants teachers paid, then it could provide better security on the roads. In any event, a spokesman for the main teachers’ union in eastern Congo, Jean-Luc Ndailitse, said his organization still prefers having Caritas handle the payments. When government officials were in charge, he said, at least 30 percent of the funds disappeared, presumably lining those officials’ pockets; now, at least, when Caritas can get the cash where it’s supposed to go, all of it goes to the teachers. On yet another front, bishops in the Democratic Republic of Congo also recently joined with their brother prelates in neighboring Congo-Brazzaville to decry a crackdown on illegal immigrants there, mostly impoverished Congolese attracted by a slightly higher standard of living. The bishops said the anti-immigrant campaign, called Mbata ya bakolo in the local Lingala language, meaning “slap of the elders,” has been characterized by human rights abuses. For Westerners, the idea of Catholic bishops brokering national elections, or a Catholic charity being responsible for paying public servants, may seem like obvious violations of the notion of church/state separation. Such notions, however, have little to do with the practical realities of life across much of the developing world, sometimes called the Two-Thirds World. In non-Western nations, especially in one-party states or where the political class is perceived as hopelessly corrupt, religious bodies are sometimes the only meaningful expressions of civil society – the only zones of life where protest can take shape, and where concern for the common good can be articulated. To take another African example, when the war-torn West African nation of Sierre Leone needed someone to head its National Election Commission who could be trusted across party lines to oversee the fairness of balloting, it turned to a former Sister of St. Joseph of Cluny and a devout Catholic activist, Christiana Thorpe. Actually, Congo itself offers the perfect illustration. Back in the early 1990s, what was then Zaire was feeling its way towards life without strongman Mobutu Sese Seko, who ruled the country from 1965 to 1997. A transitional “High Council of the Republic” needed someone with moral authority and a reputation for independence to lead the process of drafting a new constitution, acting as the de facto national leader during the fin de regime period. Nobody from the political class fit the bill, so the nation instead turned to the then-archbishop of Kisangani, a polished and urbane cleric named Laurent Monsengwo Pasinya. He not only served as president of the council, but also as transitional speaker of the national Parliament in 1994 – meaning, in effect, that a Catholic bishop was the country’s head of state. Monsengwo draws mixed reviews for how he handled the role, but he’s gone on to become one of the towering leaders of Catholic Africa. Today he sits on Pope Francis’ council of cardinal advisors, the pontiff’s most important “kitchen cabinet” where key policy decisions are hammed out. Places such as Congo are destined to play an ever greater role in setting the agenda for global Catholicism in the early 21st century. By 2050 its Catholic population is projected to be around 97 million, putting it neck-and-neck with the United States for fourth place on the “largest Catholic nations” list behind Brazil, Mexico and the Philippines. Under the influence of leaders from such backgrounds, it seems likely that the Catholic Church may become steadily less skittish about direct political engagement, reflecting the cultural experience and needs of the developing world. For many Catholics outside the West, in other words, the question to be asked isn’t whether the Church is too political. It’s whether the Church is political enough, especially where it has the capacity to fill a void that no other actor either can or will.